October 22, 1961. 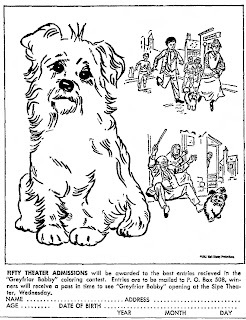 The movie "Greyfriars BOBBY" starred Donald Crisp, Laurence Naismith, Alex MacKenzie, Kay Walsh, Duncan Macrae and Gordon Jackson. 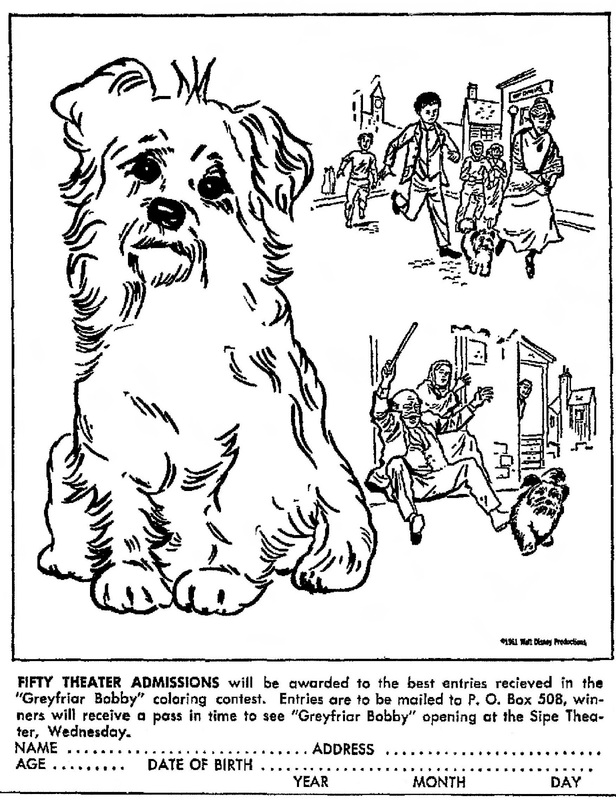 British Disney film based on true story of a Skye terrier who became "neighborhood pet" in Edinburgh during 19th century, through unusual circumstances. Directed by Don Chaffey. A Walt Disney Production.